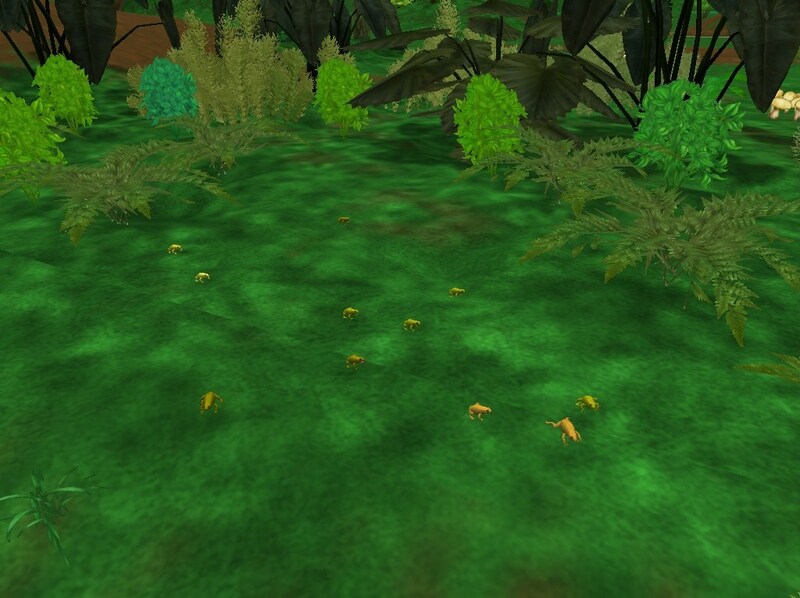 Description: I corrected the name and edited the biome for the Hierro giant lizard. It is now in the Mediterranean scrub biome. 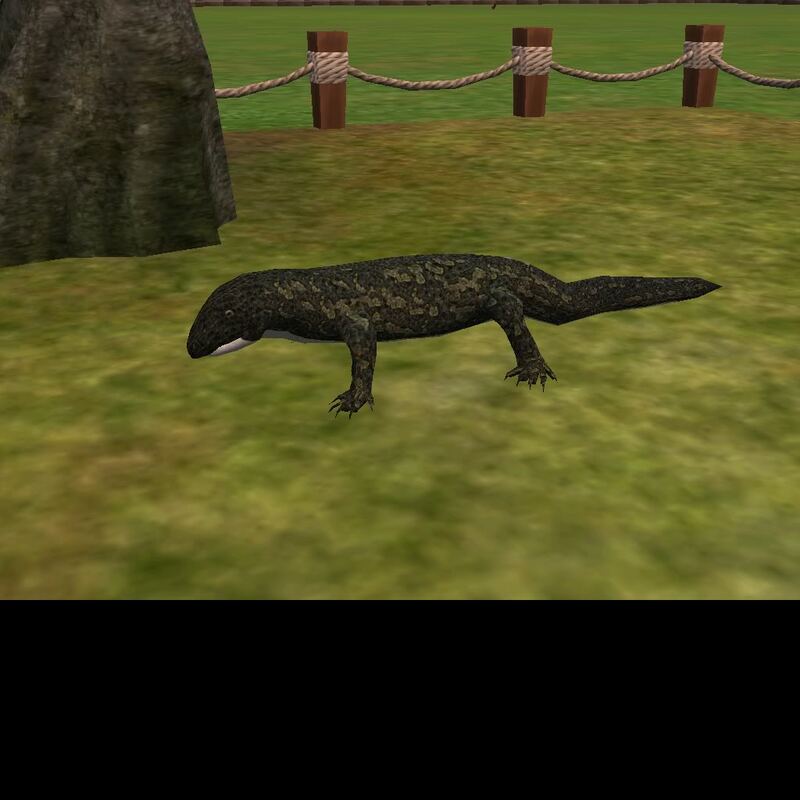 Description: Using the scientific name in the lang file, I determined that this lizard should be in the Mediterranean scrub biome. 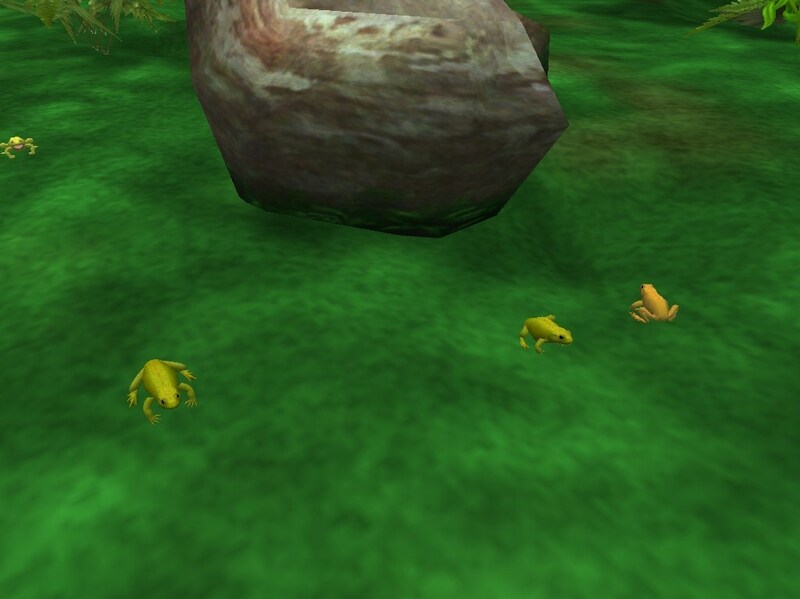 Description: I edited the biome of the marbed tree frog so it is in the tropical dry forest. 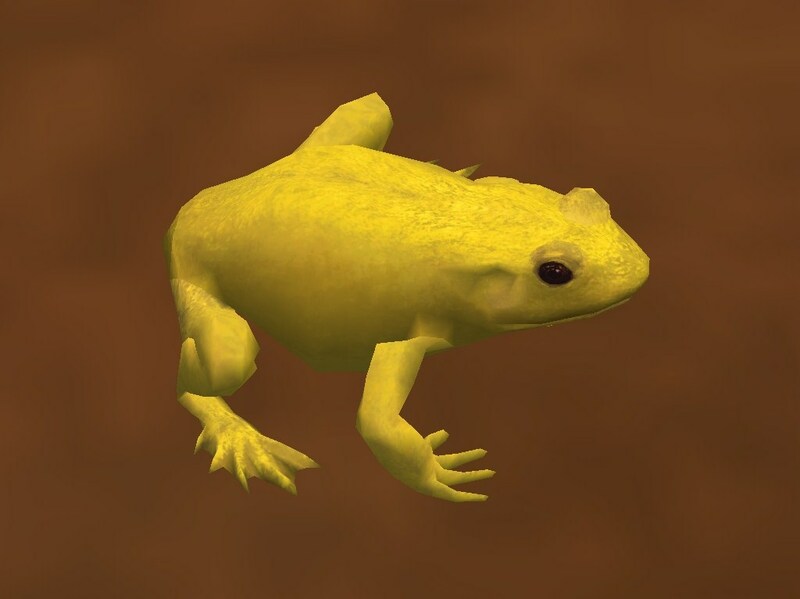 Description: I edited the biome for the map tree frog from the Reptile and Amphibian Pack 1 so it is in the tropical dry forest. 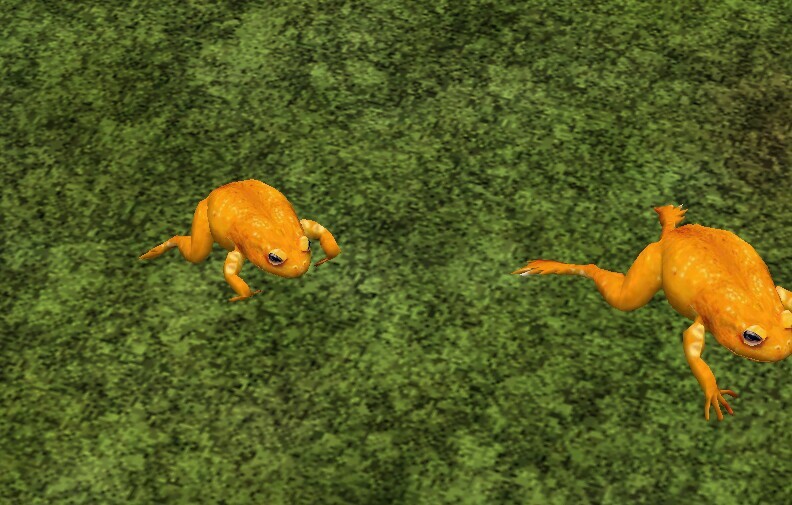 I while back I made this pack alongside Tamara Henson who made these wonderful skins, I originally used the regular frog but decided recently to use the tree frog instead. Description: The Golden Mantella, a small, critically endangered frog endemic to Madagascar. The pet trade is part of the cause of its decline. 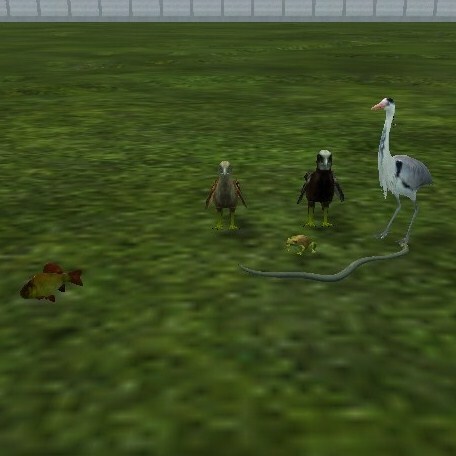 Description: A pack consisting of wildlife from the Middle East. 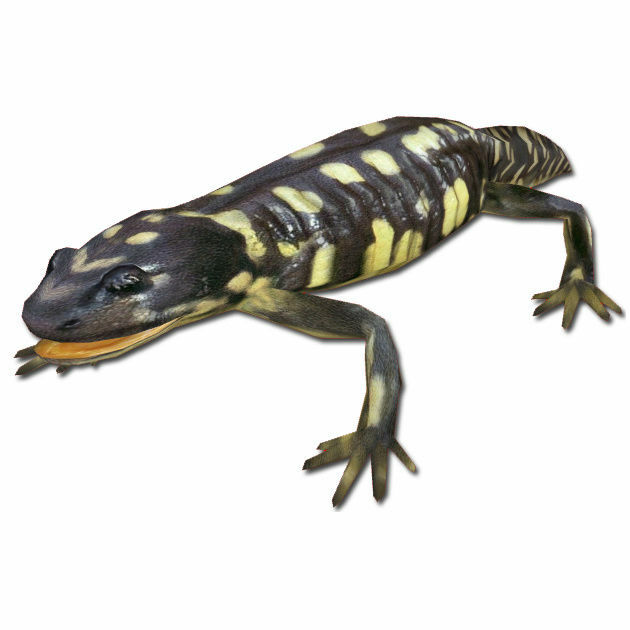 Description: A new North American salamander for your zoo! 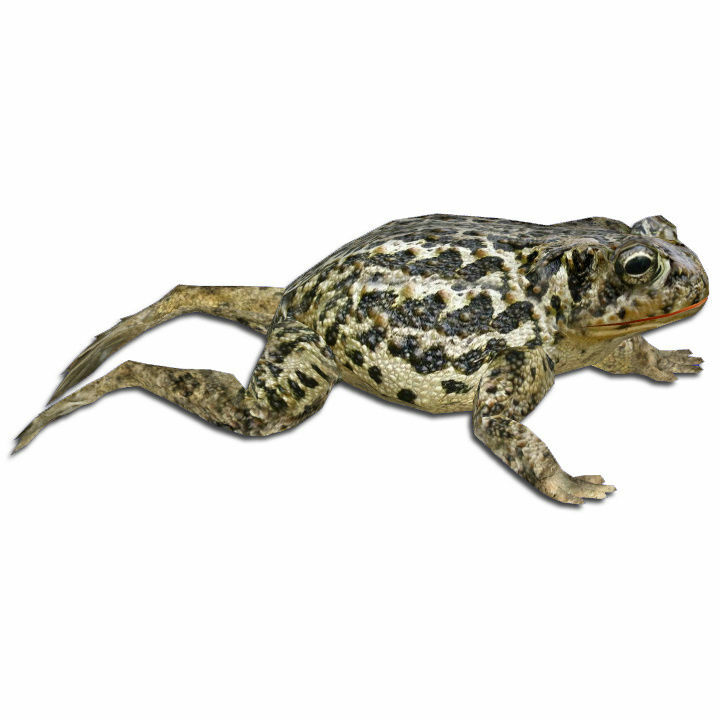 Description: A new North American toad for your zoo! 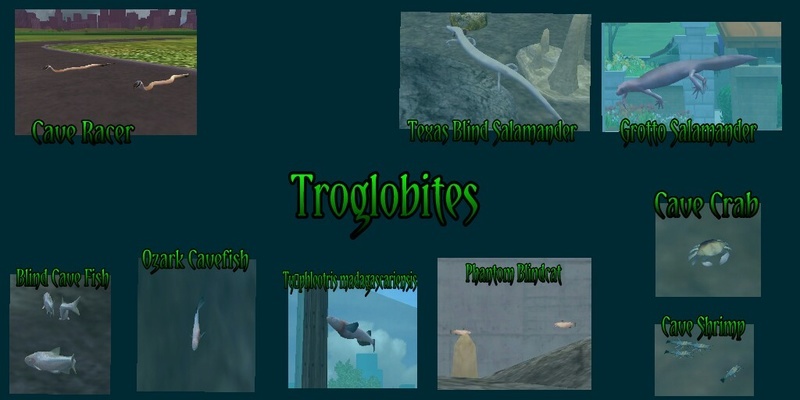 Description: A small pack containing some animals often found in the marshlands of Europe. Original Creator: Many people deserve credit for providing the original models used to create this pack. Hendrix for the bullfrog, badger, muntjac (with Longisquama), bat, crocodile (with Zerosalmont), fireback (with German 13), and waterhen; Hispa Designs for the turtle; Whalebite, Chucha, Dn, and Eryel for the pigeon model used for the buzzard; Ulquiorra for the quail; Robbie and Titan, and Tyranachu for the deer; Zerosvalmont for the cat, jackal and dhole pup; Bunyupy for the gecko; Sam for the bear; and Sim'z for the adult dhole. Requires: Most of the animals need Endangered Species. The Crested Honey Buzzard needs African Adventures and the Big-headed turtle needs Marine Mania. The quail, cat, fireback, and waterhen need regular ZT2. 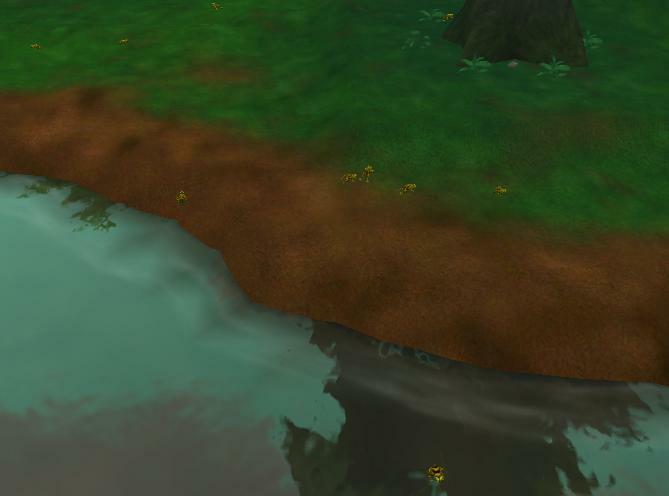 The Munjack needs the RR new biomes. 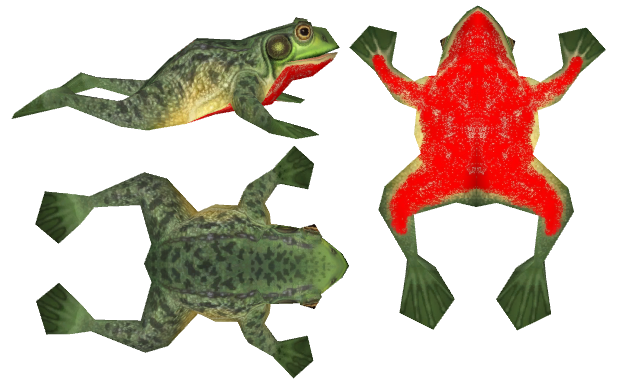 The banded bullfrog needs Amphibia, the bat needs DM's bat, and the crocodile needs Crocodilia. Bugs: None. There is a mistake in the Jackal's zoopedia. The model used was Zero's coyote not a jackal. Description: This pack contains 16 animals native to Thailand (Siam). 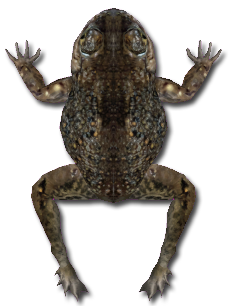 They are the Banded Bullfrog, Big-Headed Turtle, Bornean Ferret-Badger, Crested Honey Buzzard, Fea's Muntjac, King Quail, Kittie's Hog-Nosed Bat , Schomburgh's Deer, Siamese Cat, Siamese Crocodile, Siamese Fireback, Siamese Green-Eyed Gecko, Siamese jackal, Southern Dhole, Sun Bear, and White-Breasted Waterhen. 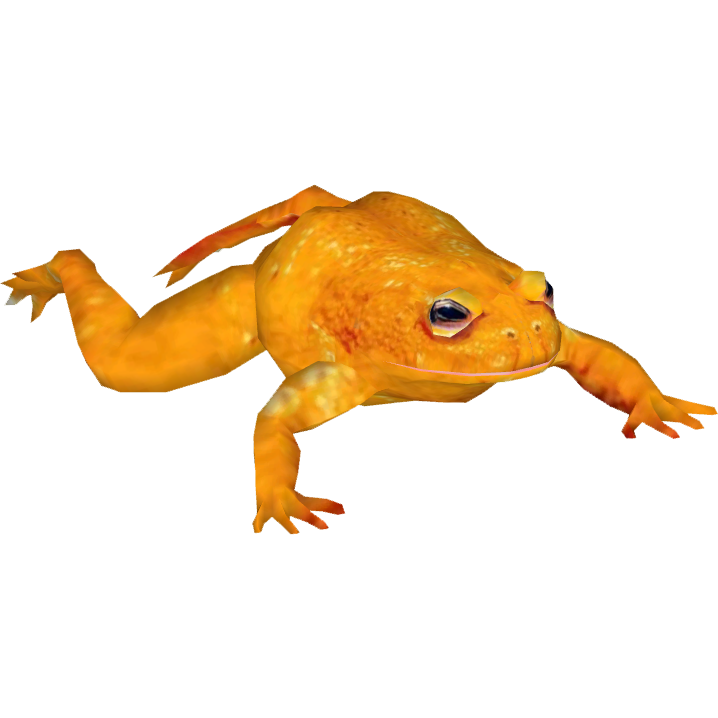 Description: The Golden Toad, an extinct amphibian known for its social breeding, and orange color. 16529950 for the Swan; DinosaurMan/Henrix for the Mink, Porcupine, Juvenile and Young Fox, hare, snake, Bohemian Waxwing, Toad, Salamander, Fur Seal base mesh (with Eryel, and the rest of the Carnivora crew), carabou, Sheep, and squirrel; Bunyupy for the Adult Wolf; Crookedjaw for the Turtle; Doc 118 for the ground squirrel and Marmot; GLM for the original young swan and goose meshes; JimmyzHoopz for the Goose and bear; Platypus for the Pony and young, juvenile, and adult caribou; Ulquiorra and Zerosvalmont for the base mesh used for the Adult Arctic Fox, and Zerosvalmont for the Young wolf and ringed seal. ZT2 - Just ZT2: American Red Squirrel, Spirit bear (f you do not have the RR new biomes just use boreal), Thinhorn Sheep, Thirteen-lined Ground Squirrel, and Vancouver Island Marmot. ES EE - American Porcupine, Arctic Fox, Arctic Hare, Lac La Croix Indian Pony, Mackenzie Valley Wolf, and Peary Caribou. AA - Blue Racer, Bohemian Waxwing (also needs the EE_Eurasian Jay), and Canadian Toad. :Shell: MM:American Mink, Blanding's Turtle, Northern Fur Seal, and Ringed Seal (If you do not have the RR new biomes just use tundra). :Bones: EA: Canadian Goose and Trumpeter Swan. Public Domain: Yes, but make sure to credit the original designers. Bugs: The ringed seal does not breed but a baby can be bought as a separate animal for a small price. It is possible the waxwing does not breed either. 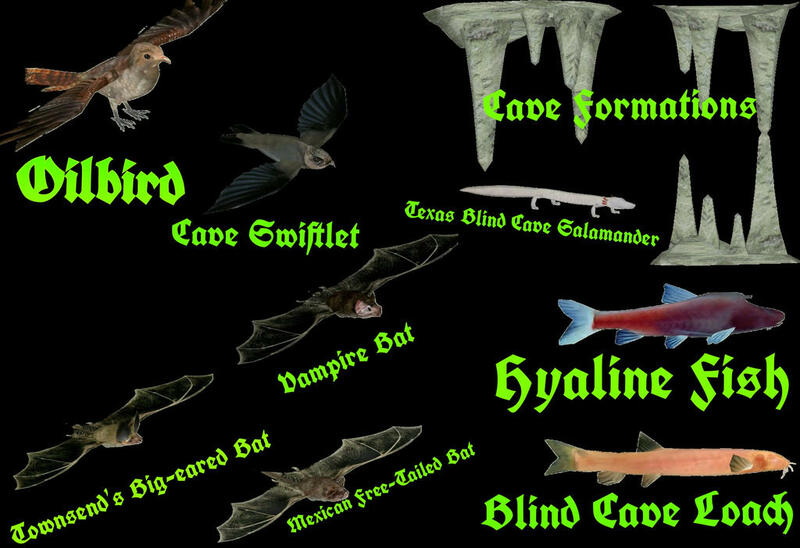 Description: This is a huge pack containing twenty animals, many endangered, native to Canada. American Mink comes with a lot of variants including platinum and albino! American Porcupine Yes they climb trees! Mackenzie Valley Wolf Many variants in both the adult and pups! Peary Caribou Santa's tiny reindeer remade for your zoo just in time for Xmas! Thinhorn Sheep a remake of the stone and dall's sheep RR style! Creators: Laura 'Tamara' Henson and (for the dolphin) Whalebite. Dinosaurman/Hendrix for the pelican, adult giant salamander, young bison (used for the takin, and crane models; Jimmz Hoopz for the alligator, adult wolf, and bison (used to mod the takin); Hispa Designs for the young giant salamander; Platypus for the red goral; Whalebite and Jannik for the banji; and zerosvalmont for the young wolf. EA:Extinct Animals for the Chinese Alligator, Chinese Giant Salamander, and Sichuan Takin. Public Domain: Yes for all but the banji. Make sure you credit the original designers for the mesh. Bugs: The eggs of the Chinese alligator take forever to hatch (sometimes more than 30 minutes after the gauge turns red) but they will eventually birth a baby. Description: A remake of eight of the animals from the original Countries of the World: China. It contains the Chinese Alligator, Chinese Giant Salamander, Red Goral, Sarus Crane, Sichuan Takin, Spot-Billed pelican, Tibetan Wolf, and the White Flag Dolphin (aka banji). Bugs: Catfish is sometimes white before placement. 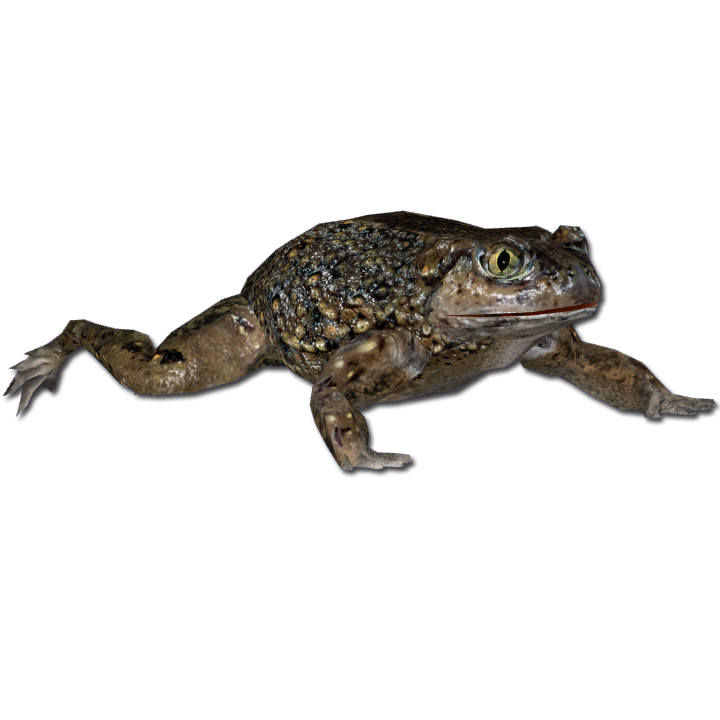 Description: The Common toad (Bufo bufo) a small, common European amphibian now ready to hop into your zoos. Has alot of variants. Original Creators: Many people need to be credited for allowing the use of their models for this project. 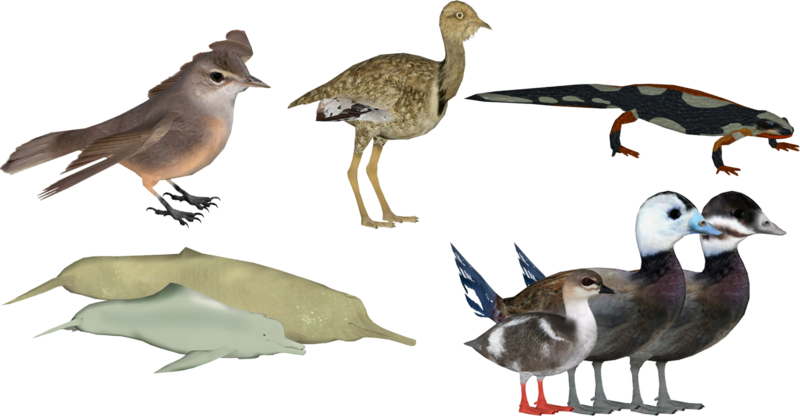 Thank you DinosaurMan for the bharal (used for both blue sheep), sarus crane, and alpine musk deer meshes; Hispa Designs for the meshes used to create the Chinese water deer, Chinese alligator, Chinese giant salamander, restaurant, and arch; Kangorillaphant for the pelican mesh; Penguinman and Artifex for the river dolphin mesh; and Blue Fang for all the rest. Bugs/Information/Notes: This pack contains 17 new animals native to China and several objects. As in other Countries of the World downloads all animals are in separate files for creating your dream zoo. The animals included are the Alpine Musk Deer, Assam Macaque, Stump-tailed Macaque, Black Snub-nosed Monkey, Gray Snub-nosed Monkey, Golden Snub-nosed Monkey, Chinese Alligator, Chinese Blue Sheep, Dwarf Blue Sheep, Chinese Giant Salamander, Chinese Water deer, Red Goral, Sarus Crane, Sichuan Takin, Spot-Billed Pelican, Tibetan Wolf, and White Flag Dolphin. The items are all in a single download and include a Chinese dragon themed arch, bench, viewing area, and gazebo; an Imperial Guardian Lion fountain and bouncy ride, and a Panda Express restaurant. Bugs: The Sarus crane has a minor bug in which it will revert back to the flamingo model at a certain distance but will return to the proper mesh when you get closer to the animal. ES : Alpine Musk Deer, Chinese Water Deer, Red Goral, and Tibetan Wolf. AA : Assam Macaque, Stump-Tailed macaque, all three Stub-Nosed monkeys, and the Sichuan Takin. MM : Chinese Giant Salamander and White-Flag Dolphin.